You are now ready to start wedging your 4-Curve Scoliosis. You’ve done your homework. You started with your Daily Scoliosis Stretch, you defined your curve with our curve-defining videos and you found that you have a 4-Curve Scoliosis. Now it’s time to put that information to work. It’s time to start moving your spine towards neutral. If you have a C-curve or a 3-Curve scoliosis, you are on the wrong page. Exit immediately! 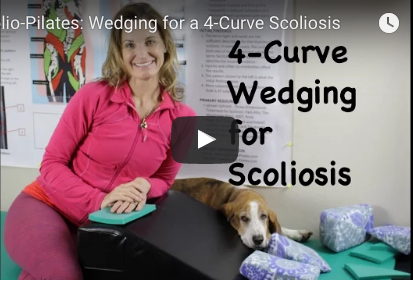 When you have a 4-Curve Scoliosis, the guidelines in this video will help you know where to wedge your spine so that we can begin to bring your spine towards a more neutral shape.